The <iron-flex-layout> element is used to provide CSS flexible box layout. It is also known as flexbox. 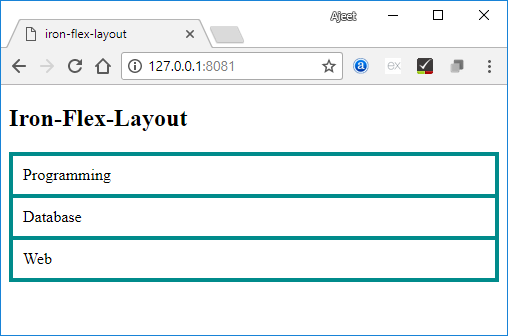 Layout classes: The layout class is a stylesheet which provides certain rules of class-based flexbox where the layout properties are directly defined in the markup. Custom CSS mixins: It is a stylesheet which contains custom CSS mixins, which can be applied inside a CSS rule with the help of @apply function.